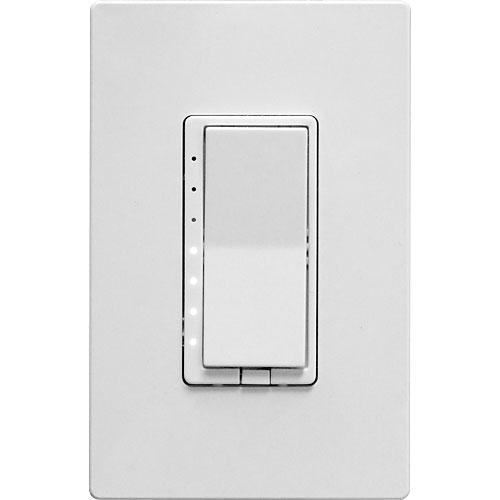 The Homeseer WD200+ is a Zwave Plus dimming wall switch for use with most dimmable lighting loads including dimmable LED and incandescent lighting. Easy to use, just tap the top of the rocker for on, bottom for off, hold for bright or dim. The multi-colour LED indicators can be set to your choice of 7 different colours. Multi-tap and press and hold type event triggers. Up to 5 taps and 14 variations. RGB LED indicators that can be changed to your choice of colour to display the light status. 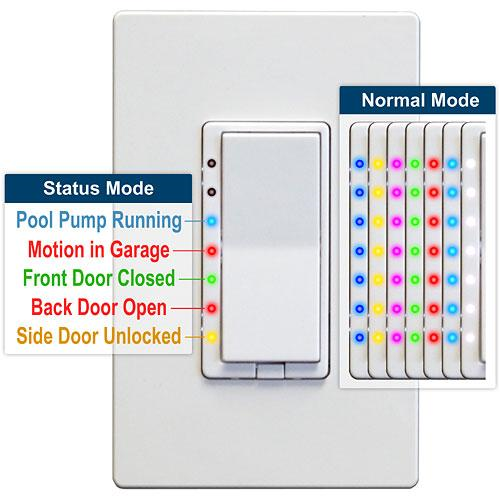 RGB LED indicators can also be programmed to indicate the status of other devices in the hom. The WD200+ also supports the new ZWave S2 security class and provides instant status feedback when controlled locally. Special features (multi-tap, hold, blink, status indicator) supported fully on Hometroller/Homeseer systems. Other controllers may support some of these features, but please check with the controller vendor to confirm. For example, SmartThings users can use a special device handler to support these features as well. 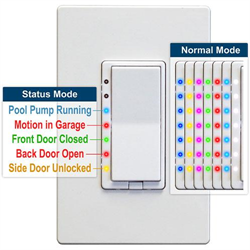 Any Zwave controller that supports the Zwave configuration class can be used to set colour options.